Bolshoi Babylon, an HBO documentary that also received a theatrical release, examines the volatile atmosphere backstage at Moscow's Bolshoi Theatre company. How volatile? One of the Bolshoi's dancers paid someone to throw acid in ballet director Sergei Filin's face. The film, directed by Nick Read, includes an interview with Russian Prime Minister Dmitry Medvedev, who explains candidly that the company is an essential element of Russian soft power: "The Bolshoi is our secret weapon". 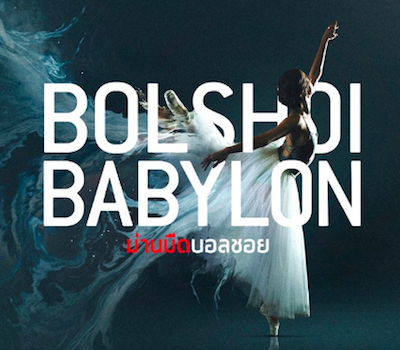 Bolshoi Babylon opens at the SF World cinema in Bangkok tomorrow, with screenings presented by the Documentary Club.